Our Mission: To successfully execute road races that provide a great runner experience, highlight our region and give back to the community. The Wineglass Marathon is a USATF Certified Course and used by many runners as a Boston Marathon Qualifier. Celebrating the 37th year of the Wineglass Marathon, located in the heart of the Finger Lakes, is a must do destination race! 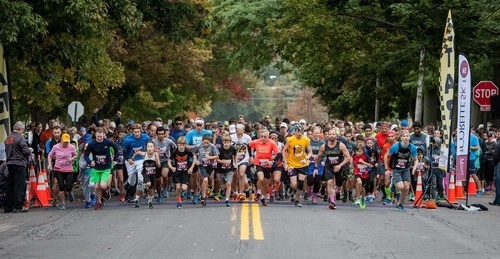 A point to point course, the full marathon starts in Bath, NY, traveling the valley to Savona, Campbell where the half marathon starts, onto Coopers Plains, Painted Post and finishing on historic Market Street in Corning, NY. Wine tasting, local breweries, shopping or visiting one of our world famous museums, running with us offers an array of things to do and experience.